Greetings to everyone. Hope you are all having a good time these days. In this post I'd like to post a concept that I'm inclined to pursue cause to me this could be a rather unique experience for both RP and WvW players, but most for those who both are potentially looking for both. The RP aspects and themes behind this concept are simply this: An Empire born from the Mists. 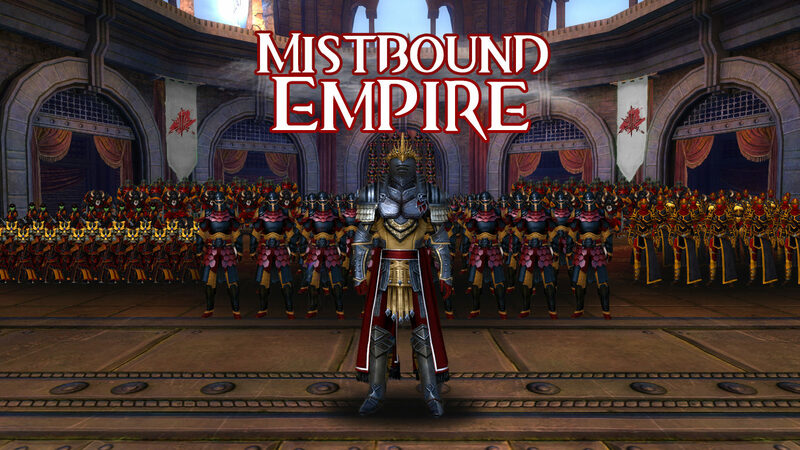 Ruled by an Monarch or Emperor who has gathered many people of different races and backgrounds from multiple Tyrias that have been lost or consume by the Mists. Possibly from forgotten realms that with time are lost. The Emperor gathers those lost souls, trains them and marches them into battle for conquest and control for the mists. To forever fight for their new home and seek out other places to add to his domain. As far as alignments goes for the type of guild/empire, it is a lawful/evil one. The Monarch treats his soldiers like family and will do everything to help his own troops(provide home, safety, training,) but his ambitions for conquest are fairly terrifying. Conquering the Mists and expand his presence to other realms. If I were to compare this to other fictional factions from other games, I'd compare it to Metal Gear's Outer Heaven, or the MGS5's Diamond Dogs and the leader is Big Boss. 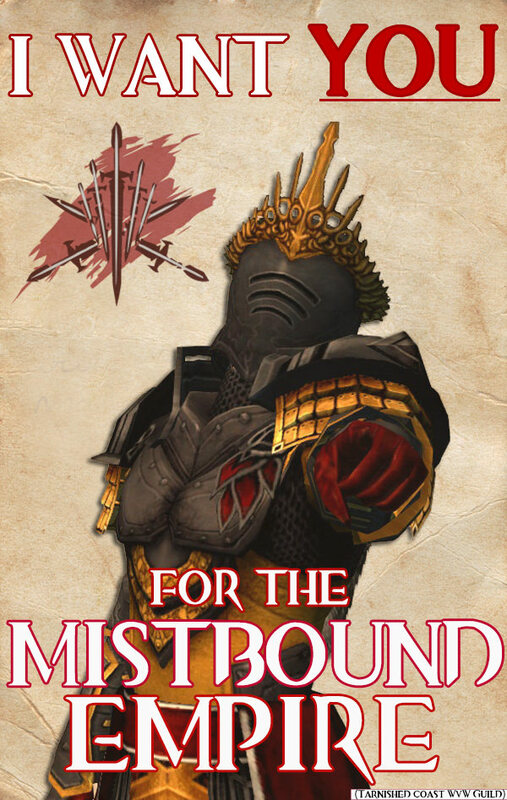 My experience in WvW is light I'll admit, but I'm gonna learn more to be a proper commander within some time to then be able to command my squad when I'm around for it. But with that said, I'm open to have veteran commanders within the guild to lead for the squad and even teach me a thing or two. What do you guys think? Leave replies if you wish. I'll leave a strawpoll here to sort of receive data and feedback as well.